is Arcadia Publishing's best selling book in the South. The connections between Myrtle Beach and Conway, South Carolina form an intricate tapestry of contrasting threads - from the neon glitz of the beach resort to the more reserved colonial town that spawned it. 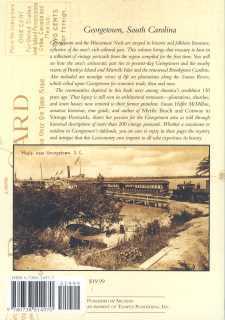 Conway citizens enjoyed the coastal town as a playground in the 19th century, and many even helped steer its evolution during the 20th century into a premier vacation destination by relocating to Myrtle Beach to shape and share in its future. Through more than 200 postcards, many dating from the early 1900s, readers witness a wide array of architecture, from the Ocean Forest Hotel and the early Myrtle Beach Pavilion, to the local landmarks that were destroyed by Hurricane Hazel in October 1954. These images also tell the stories of other Grand Strand beaches, as well as Conway, a quintessential Southern city with historic properties and live oak canopies. 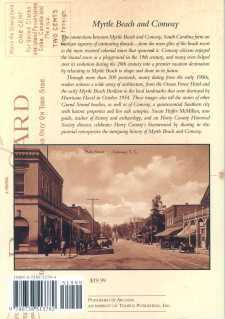 Susan Hoffer McMillan, tour guide and teacher of history and archaeology, and an Horry County Historical Society director, celebrates Horry County's bicentennial by sharing in this pictorial retrospective the intriguing history of Myrtle Beach and Conway. 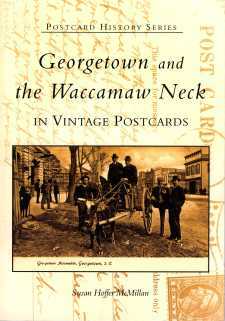 Georgetown and the Waccamaw Neck are steeped in historic and folkloric literature, reflective of the area's rich cultural past. This volume brings that treasury to bear in a collection of vintage postcards from the region compiled for the first time. You will see how the area's aristocratic past ties to present-day Georgetown and the nearby resorts of Pawleys Island and Murrells Inlet and the renowned Brookgreen Gardens. Also included are nostalgic views of life on plantations along the Santee Rivers, which relied upon Georgetown for economic trade, then and now. The communities depicted in this book were among America's wealthiest 150 years ago. That legacy is still seen in architectural remnants-plantations, churches and townhouses now restored to their former grandeur. 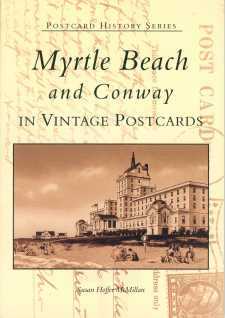 Susan Hoffer McMillan, amateur historian, tour guide, and author of Myrtle Beach & Conway in Vintage Postcards, shares her passion for the Georgetown area as told through historical descriptions of more than 200 vintage postcards. Whether a vacationer or resident in Georgetown tidelands, you are sure to enjoy in these pages the mystery and intrigue that this Lowcountry area imparts to all who experience its beauty. Books are $19.99 each, plus $1.00 SC sales tax and shipping. complete, print and mail an order form [go to order entry page]. Digital or hard copies of some of the postcards featured in these publications are available. Please contact the author for details.